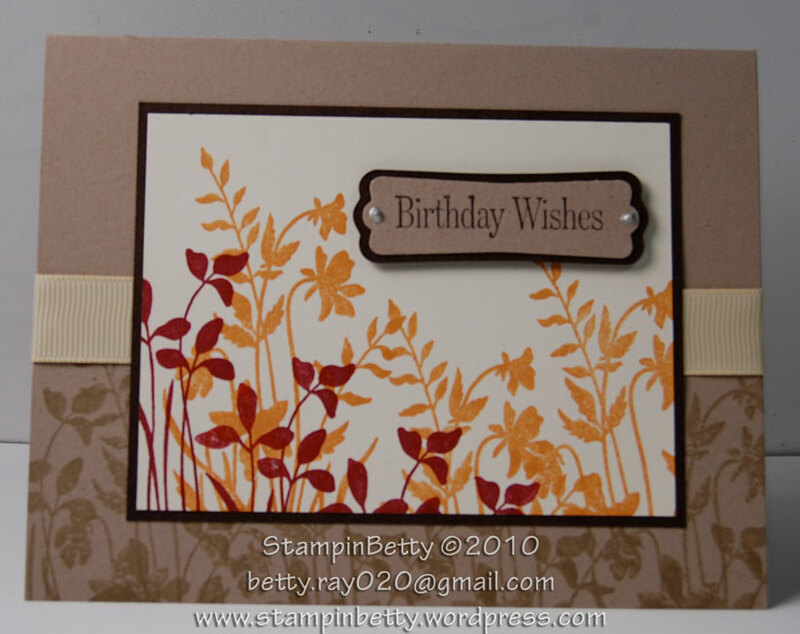 Where to start, Where to start?…. 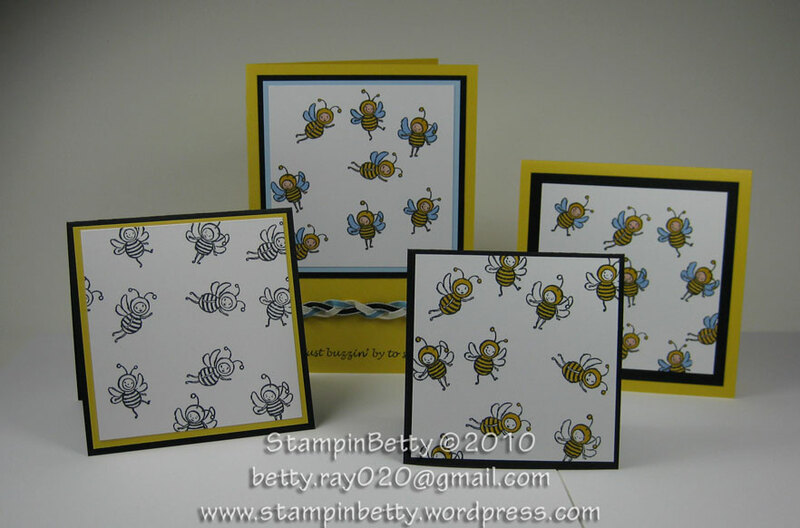 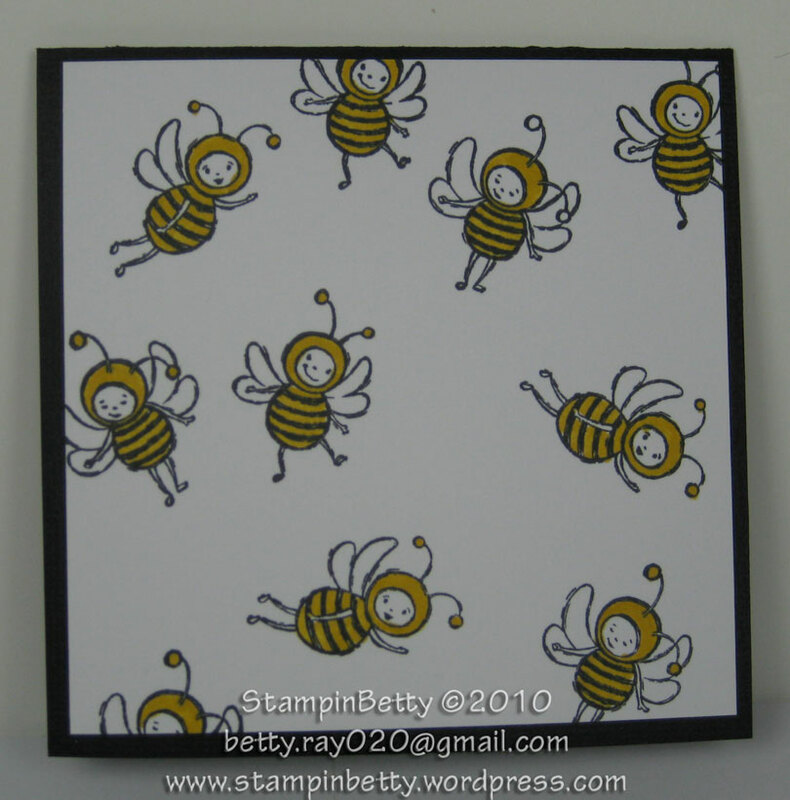 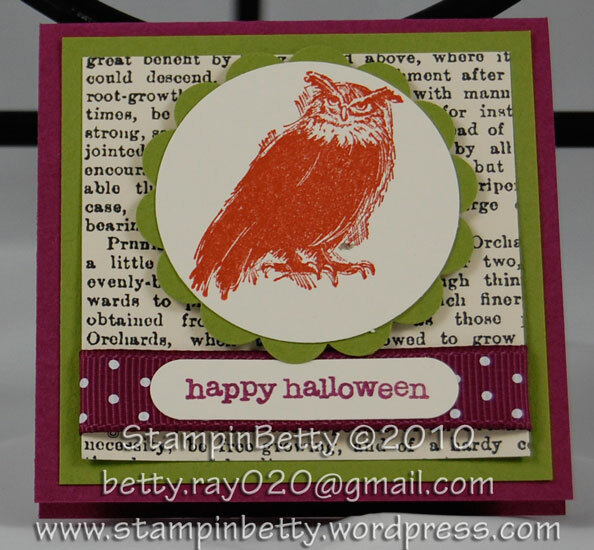 I had started stamping some 4×4 panels with the bees from the Just Buzzin By stamp set. 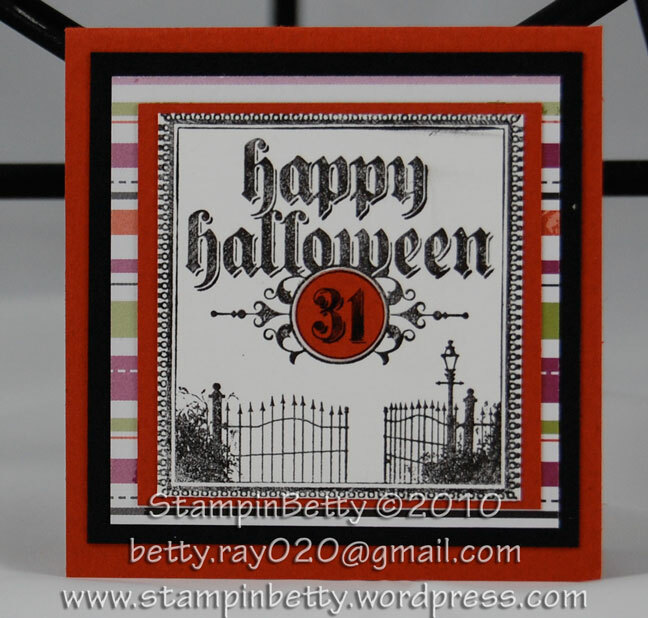 I was just randomly stamping these with black ink, and as I saw them all laying out I had a great idea. 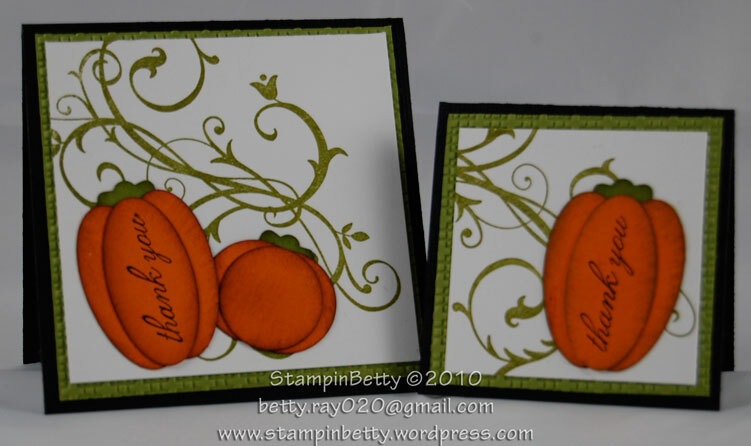 What if I started with the same basic panel, but then finished each card with varying amounts of “extras” to show you what you could accomplish in 5, 10, 15, and 20 minutes. 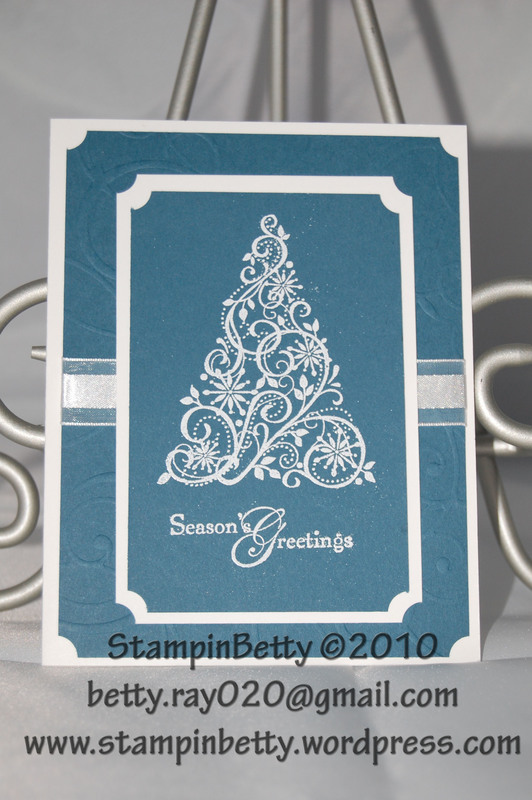 It worked out great, because sometimes you need a card “right now”, so this 5 min notecard would work perfectly. 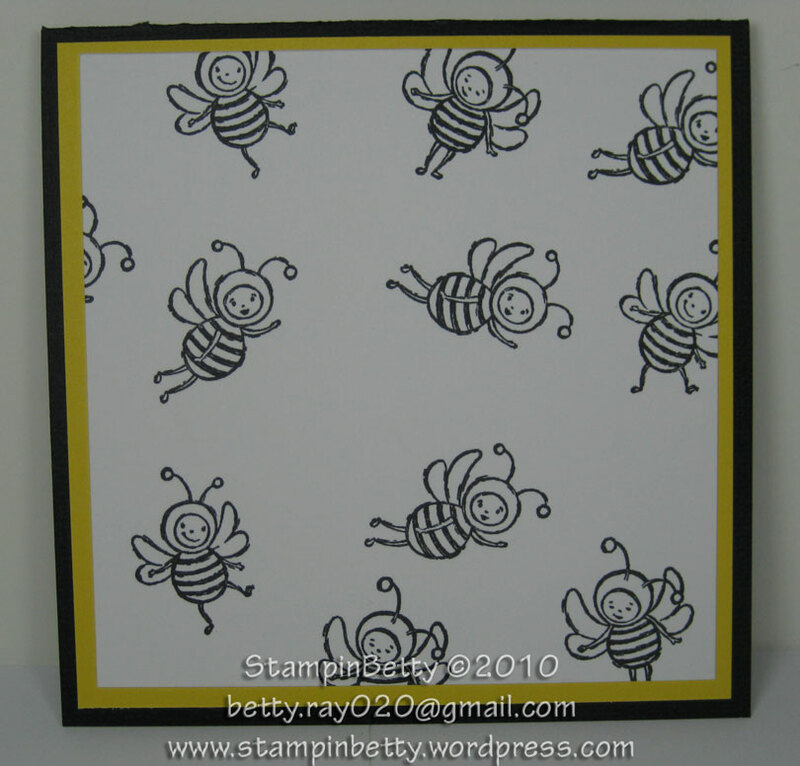 It is just the plain black/white bees mounted on 2 contrasting colors of cardstock. 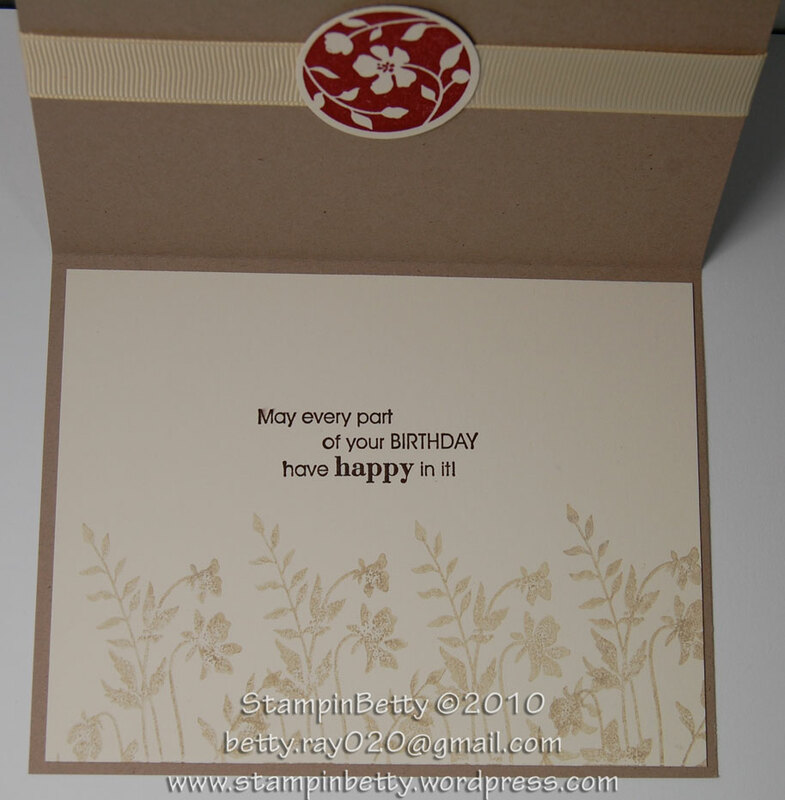 It doesn’t get any simpler than this, yet it is so cute, and anyone would be happy to receive it with your personal note inside!! 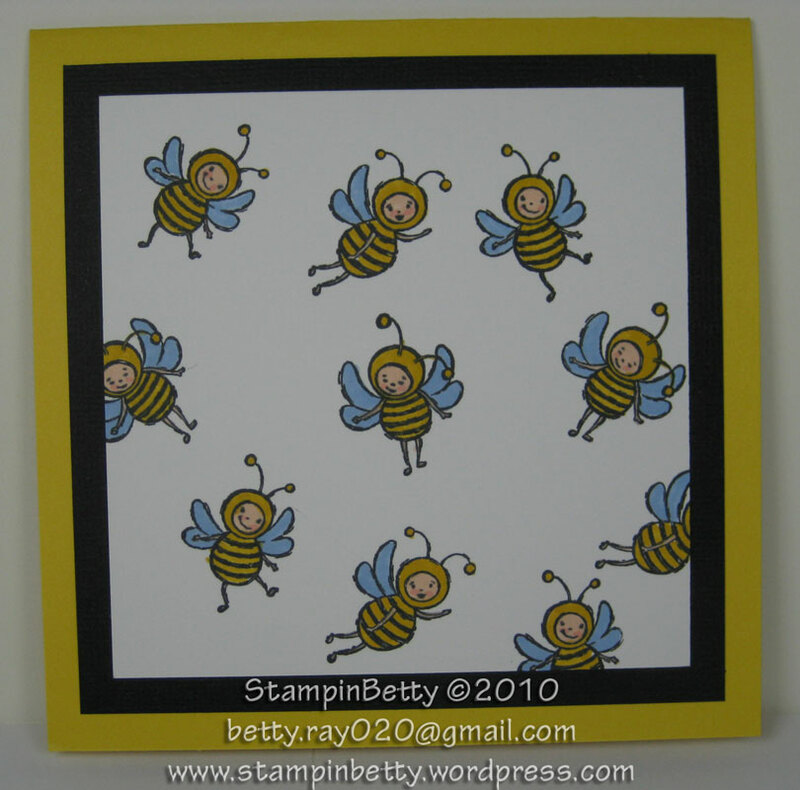 Next, in 10 minutes you can color all the bees yellow (Daffodil Delight) to give it a little more pop…..
With 15 minutes you can go another step further by completely coloring the bees, even giving them rosy little cheeks, and mounting them on contrasting layers of cardstock. 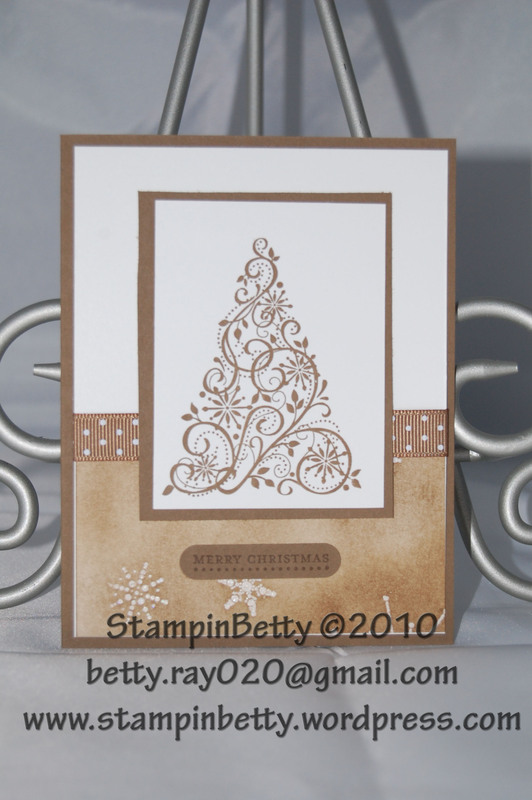 If you have 20 minutes you can really deck this card out. 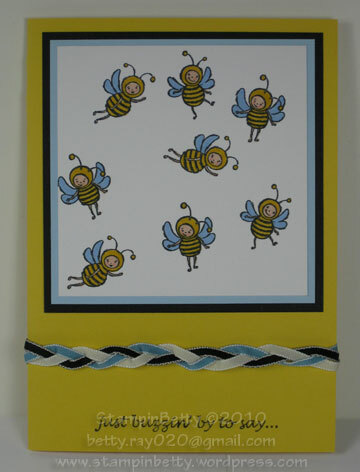 We have our panel with fully colored bees, mounted on several layers of cardstock, transformed into a 5 x 7 card, and then the braided taffeta ribbon (you braid this yourself from 3 strips of the 1/8″ ribbon). 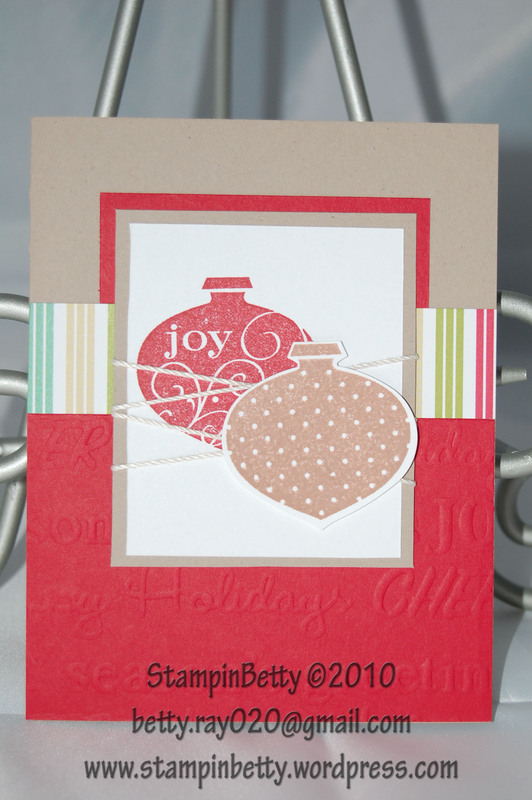 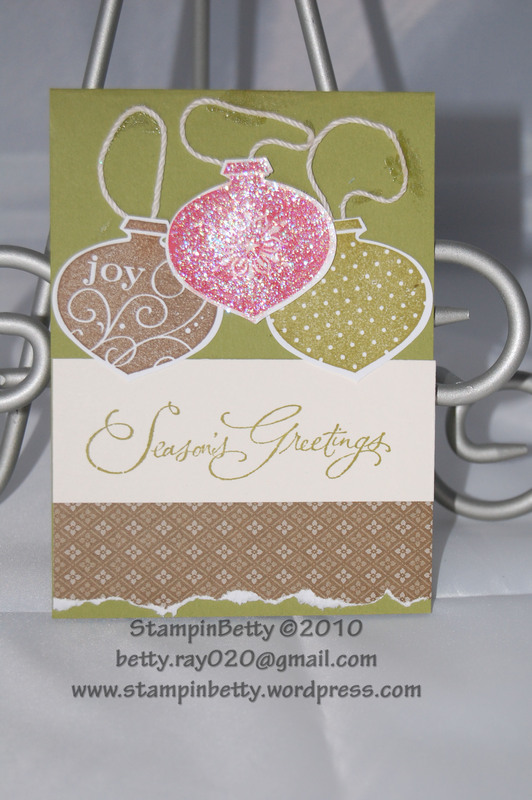 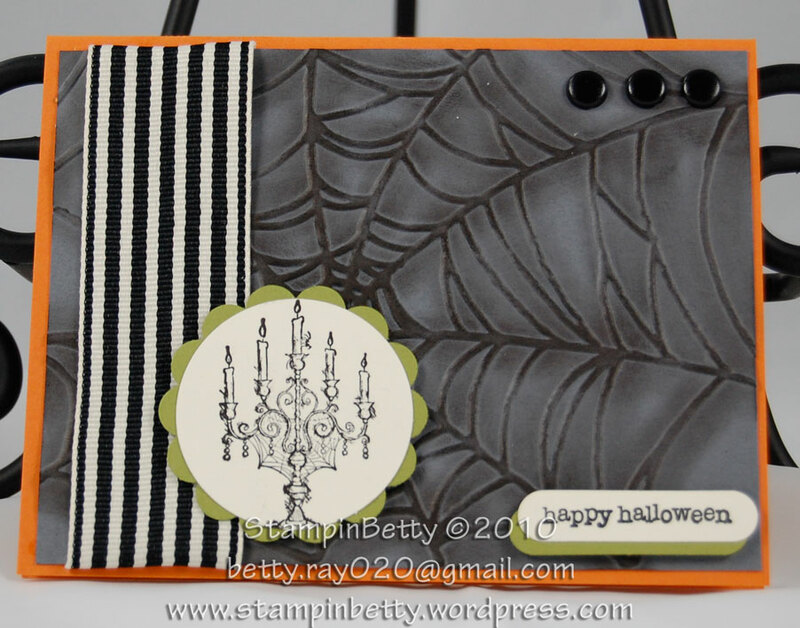 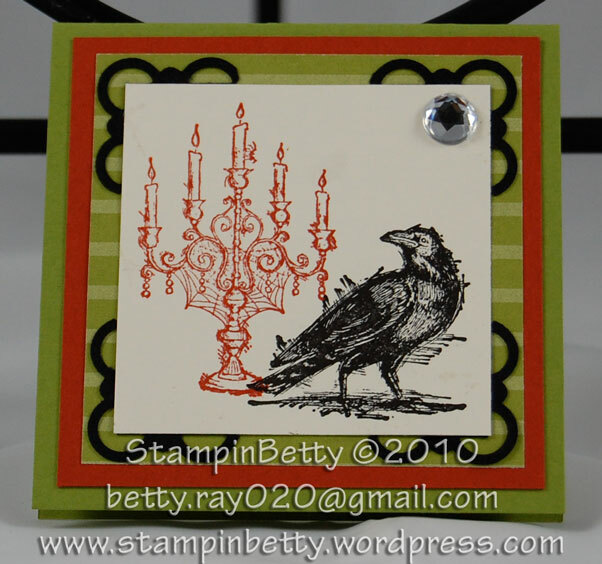 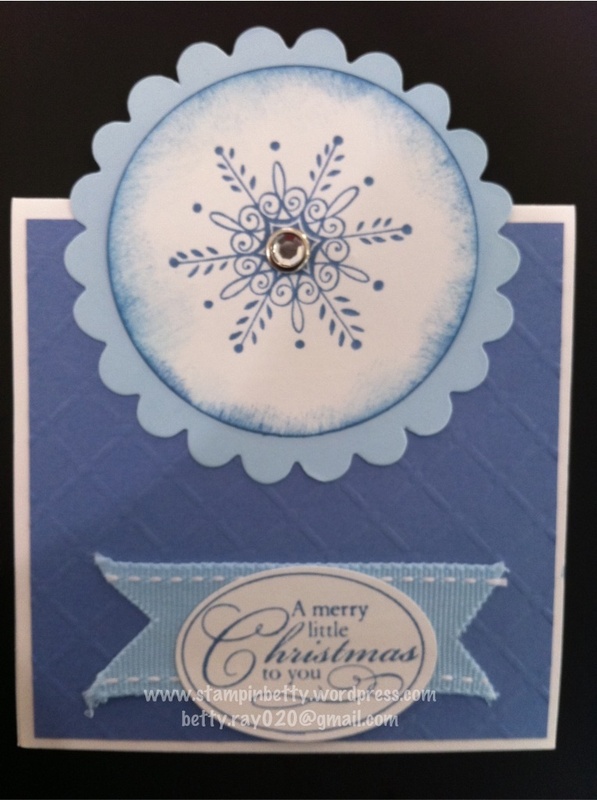 This card is still super simple but with the coloring and the braiding it just takes longer. 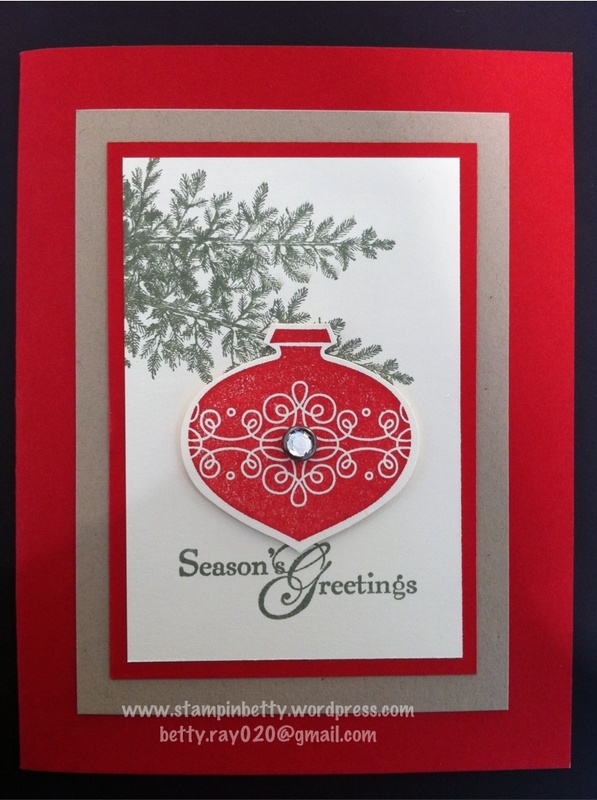 So there you have it, how much time do have?